Econsultancy and Geckoboard recently surveyed SMBs and entrepreneurs in the internet software industry for our Data-Driven Culture Survey and found that across different approaches to data and goals, the majority of respondents felt metrics were not understood or acted upon correctly. Whether you are a marketer or a startup founder, we can all benefit from a structured, lean approach to data. 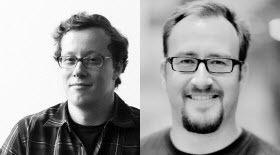 As the Lean Startup movement (spawned from the bestselling book of the same name by Eric Ries in 2011) will add another chapter in just a few weeks’ time when co-authors Ben Yoskovitz and Alistair Croll release Lean Analytics, we decided to get their take on prioritising data for marketers in this Q&A. The importance of real-time data in business decision making is becoming more important for organizations of all sizes. Our recent Best Practices in Data Management Guide by Chris O’Hara includes techniques for getting unique, actionable audience insights, however it is intended mainly for large business and Enterprise. A new startup, Geckoboard, aims to bring real-time data intelligence to the lean business camp. We interviewed the founder Paul Joyce for more info.